I was born on July 4, 1776, and the Declaration of Independence is my birth certificate. The bloodlines of the world run in my veins, because I offered freedom to the oppressed. I am many things and many people. I am the nation. I am 213 million living souls -- and the ghost of millions who have lived and died for me. I am Nathan Hale and Paul Revere. I stood at Lexington and fired the shot heard around the world. I am Washington, Jefferson and Patrick Henry. I am John Paul Jones, the Green Mountain Boys and Davy Crockett. I am Lee and Grant and Abe Lincoln. I remember the Alamo, the Maine and Pearl Harbor. When freedom called, I answered and stayed until it was over, over there. I left my heroic dead in Flanders Field, on the rock of Corregidor, on the bleak slopes of Korea and in the steaming jungle of Vietnam. I am the Brooklyn Bridge, the wheat lands of Kansas and the granite hills of Vermont. I am the coal fields of the Virginias and Pennsylvania, the fertile lands of the West, the Golden Gate and the Grand Canyon. I am Independence Hall, the Monitor and the Merrimac. I am big. I sprawl from the Atlantic to the Pacific ...my arms reach out to embrace Alaska and Hawaii ... 3 million square miles throbbing with industry. I am more than 5 million farms. I am forest, field, mountain and desert. I am quiet villages -- and cities that never sleep. You can look at me and see Ben Franklin walking down the streets of Philadelphia with his bread loaf under his arm. You can see Betsy Ross with her needle. You can see the lights of Christmas and heard the strains of "Auld Lang Syne" as the calendar turns. I am Babe Ruth and the World Series. I am 110,000 schools and colleges and 330,000 churches where my people worship God as they think best. I am a ballot dropped into a box, the roar of a crowd in a stadium and the voice of a choir in a cathedral. I am an editorial in a newspaper and a letter to a congressman. I am Eli Whitney and Stephen Foster. I am Tom Edison, Albert Einstein and Billy Graham. I am Horace Greeley, Will Rogers and the Wright Brothers. I am George Washington Carver, Jonas Salk and Martin Luther King Jr. I am Longfellow, Harriet Beecher Stowe, Walt Whitman and Thomas Paine. Yes, I am the nation, and these are the things that I am. I was conceived in freedom, and God willing, in freedom I will spend the rest of my days. May I possess always the integrity, the courage and the strength to keep myself unshackled, to remain a citadel of freedom and a beacon of hope to the world. "Our loyalty is due entirely to the United States. It is due to the President only and exactly to the degree in which he efficiently serves the United States. It is our duty to support him when he serves the United States well. It is our duty to oppose him when he serves it badly." Why should we be frightened? No people who have ever lived on this earth have fought harder, paid a higher price for freedom, or done more to advance the dignity of man than the living Americans, those Americans living in this land today. When the popular American comedian Red Skelton was a young man, he learned the meaning of the Pledge of Allegiance from one of his teachers, Mr. Laswell. The lesson became so meaningful he remembered the explanation throughout his lifetime. The ironic thing is when he made this recording he did not add the words "Under God." Be sure and read what he said about it at the end of his pledge. 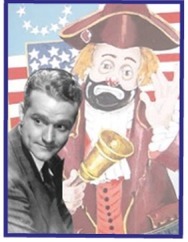 In 1969 Red Skelton made the following recording ~ An explanation of the Pledge Of Allegiance. I: Me; an individual; a committee of one. 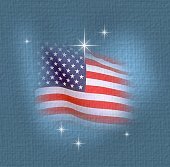 To the Flag: Our standard; Old Glory ; a symbol of Freedom; wherever she waves there is respect, because your loyalty has given her a dignity that shouts, Freedom is everybody's job. States: Individual communities that have united into forty-eight great states. Forty-eight individual communities with pride and dignity and purpose. All divided with imaginary boundaries, yet united to a common purpose, and that is love for country. 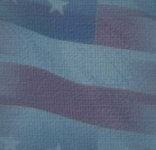 And to the Republic: Republic--a state in which sovereign power is invested in representatives the people to the leaders, not from the leaders to the people. 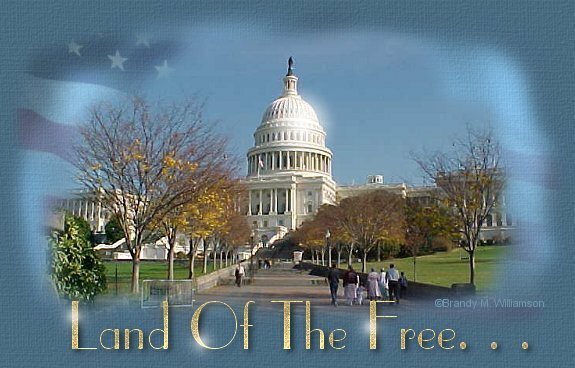 For which it stands, OneNation: One Nation--meaning, so blessed by God. And Justice: The principle, or qualities, of dealing fairly with others. For All: For All--which means, boys and girls, it's as much your country as it is mine. Since I was a small boy, two states have been added to our country and two words have been added to the pledge of Allegiance... UNDER GOD. Wouldn't it be a pity if someone said that is a prayer and it would be eliminated from schools too? Click here to listen hear a recording of Red Skelton reciting this. If you can hold someone's hand, hug them or even touch them on the shoulder, you are blessed because you can offer healing touch. If you can read this message, you just received a double blessing in that someone was thinking of you, and furthermore, you are more blessed than over two billion people in the world who cannot read at all. Have a good day, count your blessings, and pass this along to remind everyone else how very blessed we all are.